Today we met up with trainer and behaviourist Adem Fehmi from Dog-Ease to find out all about the work he does with gundogs and other 'high energy' dogs. Adem explained to us that these types of dogs were bred to do 'a job' and that when they are bought as pets and not given an outlet for their energy, they can sometimes develop behaviour problems. 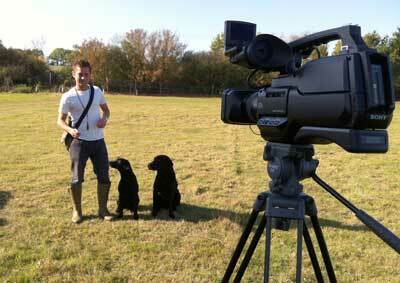 Adem has found that by teaching gundog work to his classes, their behaviour often improves a great deal.